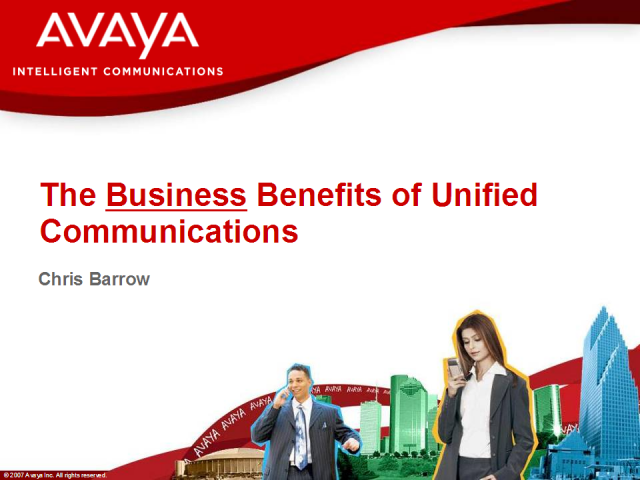 Christopher Barrow is a Unified Communications Solutions Director for Avaya Europe, Middle East and Africa (EMEA), focusing on the company’s Unified Communications solutions and products. Chris works with customers across Europe to show how Avaya’s products fit within the business infrastructure. Prior to this role, Barrow was manager of analyst relations, Avaya EMEA. Chris started his career as a customer support engineer for Lucent Technologies, and worked closely on the campaign to ensure all Lucent customers were Year 2000 compliant. After that, he spearheaded the creation of the Avaya executive briefing centre, which has evolved into a showcase for Avaya solutions and is one of the busiest centres for Avaya worldwide.